January 30 (Bloomberg) -- Canadian miner SouthGobi Resources Ltd. and three ex-employees were found guilty of tax evasion by a Mongolian court, ending a near three-year investigation scrutinized for its impact on foreign investment and the nation's treatment of overseas nationals. U.S. citizen Justin Kapla and two Philippine nationals, Hilarion Cajucom Jr and Cristobal David, each received jail sentences of between five and six years, while the company was fined 35 billion tugrik ($18 million), said court spokeswoman Jamsranjav Enkhbayar. SouthGobi, controlled by Rio Tinto Group unit Turquoise Hill Resources Ltd., has denied the charges against it and its employees, who have been held in Mongolia since 2012. Free to move around the capital, Ulaanbaatar, but not to leave the country, the three weren't formally charged until May last year. The verdict could have repercussions for Mongolia's struggling economy. Even some members of government say it has been handled badly and has sent the wrong message to foreign investors. It has also put the spotlight on a legal system that makes employees liable for a company's wrongdoing and allows authorities to prevent witnesses leaving the country. The case has coincided with Mongolia's conflict with Rio Tinto that's blocking $4 billion in project financing to develop one of the world's largest copper and gold mines. Foreign investment has plunged more than 85 percent in the past two years, sending a once-roaring economy into a tailspin. "It is an unusual practice in Mongolia that tax and other disputes are classified as criminal cases," said Chuluunbat Ochirbat, economic adviser to Prime Minister Saikhanbileg Chimed. Chuluunbat, who was previously head of the country's central bank, spoke by phone on Monday, before the court case began. "This is a wrong practice and we have to make changes," he said. The SouthGobi tax case resonated with the engineers, lawyers, accountants and other foreign professionals that mining companies and others need to do business in the country, which besides copper and gold has some of the world's biggest coal deposits. "A criminal conviction would make huge waves internationally," said Dale Choi, founder of Independent Mongolia Metals & Mining Research in Ulaanbaatar, speaking ahead of the court case. "It would create very negative publicity. Foreign investors and executives would be scared of signing documents in Mongolia." Within Mongolia, some politicians are tapping into a nationalism that portrays foreigners as a rich elite robbing the country of resources, said Choi. U.S. ambassador to Mongolia, Piper Anne Wind Campbell, was at the court and drew attention to problems over interpretation. "The defendants stated during their trial that they could not understand the interpretation provided or express themselves clearly," Campbell said in a statement from the U.S. embassy. Commenting on Chuluunbat's remarks, Campbell said the economic adviser had "reiterated what international investors have long made clear - that exit bans on foreign business executives whose companies are involved in business litigation in Mongolia have had significant, detrimental impacts on foreign direct investment." Other foreigners have been detained in similar circumstances. A former lawyer for SouthGobi, Sarah Armstrong, was held in late 2012 as a witness in the case concluded today. Following weeks of interrogation and considerable media attention, she was allowed to leave. Banking consultant Chris Bradley was in the country at the end of 2013 as part of a team investigating loan defaults for Standard Bank Group Ltd., Africa's biggest lender. He was banned from leaving for six weeks after police said he had become part of a corruption investigation. After the New Zealander got home, he said he wouldn't go back. In October, the Office of the United Nations High Commissioner for Human Rights said it would investigate a claim by Kapla that his detention violates the International Covenant on Civil and Political Rights. Prosecutors had alleged that SouthGobi evaded taxes on 230 billion tugrik and that it was involved in money laundering. The laundering charges were dropped in December and the alleged tax evasion was cut to 35 billion tugrik. The defendants have two weeks to appeal to a higher court, spokeswoman Jamsranjav said. Come spring, Mongolia's Parliament will review legal changes related to commercial disputes and if passed, the amendments will end the practice of detaining individuals without charges, said Chuluunbat. January 29 (FT) Mongolia is holding an "X Factor" style referendum by text message after the prime minister turned to direct democracy to help shape the country's economic policy. Saikhanbileg Chimed's plan has echoes of television talent shows but could help solve a stand-off over one of the world's biggest mining projects, with voters being asked whether their country should develop more of its mineral resources or resort to austerity to support the faltering economy. At the heart of the four-day text poll is Mongolia's lengthy and increasingly urgent dispute with Rio Tinto, the Anglo-Australian mining group, over its Oyu Tolgoi (OT) copper mine. Rio's plans to expand the mine have stalled because it cannot agree terms with Mongolia over the $6bn project's financing and revenue sharing. OT is crucial to Mongolia's economy with forecasts that it will generate a third of the country's gross domestic product once it is fully operational. The failure of the two sides to push forward with the mine's second phase has hit economic growth, sending the country's currency plummeting, and casting doubt over its openness to foreign investment. The texting referendum, to take place from Saturday, will not be binding but could help Mr Saikhanbileg broker a consensus in favour of allowing OT to proceed, cutting through the arguments of critics who say Mongolia is not getting its fair share of the mine's earnings. The prime minister, who explained the referendum this week on television, was trying to appeal to the general public "over the heads of squabbling factions in parliament and break the logjam", said one person who advises investors in Mongolia. OT's discovery more than a decade ago cemented Mongolia's appeal to miners as one of the world's most enticing frontiers. The country opened up vast tracts of land for exploration after Communist control ended. But Mongolia is "seriously struggling" after recent developments were postponed following a downturn in commodity prices, according to the adviser. "Everything has stalled…they don't have many cards left to play." The referendum is a "long overdue national decision", said Dale Choi, head of Independent Mongolian Metals & Mining Research. "They need to broadcast loud and clear to the world whether Mongolia wants [foreign investment] or not." The arguments over OT come as commodity markets have slumped amid concerns over economic growth, cooling miners' interest in spending billions on new projects. While Rio has said it remained committed to OT, the expansion delays are eating into the miner's expected returns from the project and Rio is also under pressure to raise payouts for its investors. Another person close to situation said Mr Saikhanbileg was "basically saying 'We have two options: we go down the [austerity] route in some fashion or we find a smart way of unlocking [the mining investment]'." January 29 (FT) Mongolians do not always do what foreigners think they should. The warriors of Genghis Khan pinged arrows from a distance at adversaries who had pencilled "pitched battle" into their day planners. This was unsporting but effective. Now, Mongolia's new prime minister, Saikhanbileg Chimed, has announced a referendum by text message on whether to develop further his nation's plentiful mineral resources. This news will exasperate Rio Tinto, which indirectly owns a majority stake in the vast Oyu Tolgoi copper mine in the South Gobi. The Mongolian government has 34 per cent. The partners have been bickering over how to split a $900m cost overrun on the first, open-cast phase of the project. About $4bn needed to develop a second, underground phase hangs on them resolving their differences. Financial folk tend to expect political obstacles to dissolve in response to economic expediency. Under that world view, Mr Saikhanbileg's non-binding poll is a populist gesture presaging a handshake with Rio's Sam Walsh. That may understate the complexity of politics in an immature democracy with qualms over the "resource curse" — the distorting effect mineral wealth can have on civil institutions. Nor is Rio alone in wrestling with such issues. Multinationals are recalibrating their expectations of paybacks from investments in response to plunging commodity prices. The penny will not yet have dropped for many governments. When it does, they, like the Mongolians, may begin to feel taxation of resource developments is a safer bet than the risk-sharing arrangements popular at the top of the cycle. The phlegmatic Mr Walsh delivered the first phase of Oyu Tolgoi, albeit behind schedule. He is now said to be "talking robustly" to the Mongolians about the second phase. Not too robustly, one hopes. Genghis built pyramids from the skulls of people he seriously disagreed with. January 29 (gogo.mn) Monday Chinggis Square witnessed the demonstration of group of people striking against Gatsuurt Deposit with slogan Let's Save Noyon Uul. In 1999, 2000 History Institute of Science Academy of Mongolia and in 2005 Anthropology and Archaeological Department of NUM have conducted researches at the mining license sites of Centerra Gold Mongolia LLC and concluded that there are findings of Huns. While the graves and findings of ancient Huns are located just at 5.8 km South West of the exploration site. Huns graves and findings are located at the Noyon Mountain are sparsed over Sujigt, Zuramt and Khujirt locations, which are covering the area of Bornuur and Batsumber soums of Tuv aimag. R.Jigjid, Minister of Mining expressed the stances of the Ministry of Mining as it seeks to preserve and save the historical findings in accordance with legislation. Further he clarified that ministry has invited the experts from Archaeological Institute and Paleontological Institute of Science Academy of Mongolia for the informative sessions and experts confirmed that the graves are not located at the mining site. Also the Minister added that Boroo Gold mining site is located at 45km distance from the Gatsuurt and they have laid the road to transport the ores with the consultation from the Archaeological and Paleontological Department of NUM, to make sure that historical heritage is not influenced. Ulaanbaatar, January 29 (MONTSAME) At the Stock Exchange trades on Thursday, a total of 81 thousand and 269 units of 18 JSCs were traded costing MNT 68 million 269 thousand and 132.00. "State Department Store" /47 thousand and 245 units/, "Binse HK" /19 thousand units/, "Moninjbar" /11 thousand and 142 units/, "APU" /2,805 units/ and "Arig gal" /401 units/ were the most actively traded in terms of trading volume, in terms of trading value were "State Department Store" (MNT 25 million 984 thousand and 750), "Binse HK" (MNT 14 million and 991 thousand), "APU" (MNT 10 million 322 thousand and 500), "Moninjbar" (MNT two million 339 thousand and 820) and "Arig gal" (MNT 942 thousand and 350). The total market capitalization was set at MNT one trillion 376 billion 573 million 575 thousand and 518. The Index of Top-20 JSCs was 14,283.03, decreasing 33.40 units or 0.23% against the previous day. MSE to Launch Introduction of "Market Makers"
January 30 (MSE) Performance of brokerage companies plays major role in improving daily trading turnover and liquidity of stock exchange. Even though brokerage companies of Mongolian stock exchange have double duties for broker and dealer, activity of brokerage companies mainly limited by implementing buy and sell order of its clients. Thereupon investors face problems with buying and selling their shares at any time they want, and it has a negative impact on market liquidity. Therefore, Mongolian Stock Exchange is preparing to introduce international capital market structure of "Market Makers" from 16 February 2015. Market makers will make buy and sell order for government securities, and it will increase liquidity of securities in the primary and secondary market. Mongolian capital market trading activity and participation of investors are expected to increase due to increasing buy and sell order from investors on a daily basis. Introduction of market makers structure will be available in shares and derivatives market in the future. January 29 (Bank of Mongolia) On the Foreign Exchange Auction held on January 29th, 2015 the BOM has received bid offer of 6.2 million CNY as closing rate of MNT 311.15-311.35 from local commercial banks and has not accepted the offer. The BOM has not received any USD bid or ask offer from local commercial banks. On January 29th, 2015, The BOM has received MNT Swap agreement bid offer in equivalent to 20.0 million USD from local commercial banks and accepted the offer. January 29 (gogo.mn) (Ulaanbaatar) January 19th Cabinet session approved taxes on fuel to be MNT 252,000 for A-80 per ton, MNT 259,000 for AI-92 per ton and MNT 265,000 for diesel fuel per ton. The taxes should accumulate around MNT 220 billion to the state budget. Retail prices at the gas stations were comparatively stable over the past two years. According to the Ministry of Mining the retail prices should be stable for the next year as well. As of January 27th Mongolia has the reserves of fuel for 45 days. Out of which, A-80 fuel reserve is at 65 days, Ai-92 - 53 days, diesel fuel - 46 days, TC-1 or plane fuel reserves are for 15 days. Mongolia's economic freedom score is 59.2, making its economy the 96th freest in the 2015 Index. Its overall score has increased by 0.3 point since last year, with improvements in four of the 10 economic freedoms, led by freedom from corruption and fiscal freedom, outweighing declines in business freedom, the management of public spending, and monetary freedom. Mongolia is ranked 19th out of 42 countries in the Asia–Pacific region, and its overall score is above the regional average but below the world average. A massive investment boom has reshaped Mongolia's economy into a leading coal exporter. However, gains in economic freedom made after 2011 have been undermined by a subsequent decline that revealed underlying structural weaknesses and has pushed Mongolia into the "mostly unfree" category. At the root of this negative development are increasing fiscal indiscipline and weak rule of law. The government's direct interest in the coal project has exposed it to cyclical revenue changes. The budgetary outlook discounts benefits from future mining windfalls by expanding spending in the short term. The judicial framework remains vulnerable to political influence, and the perceived level of corruption is still high. Mongolia emerged from the shadow of the former Soviet Union in 1990 with a new constitution and a multi-party system. Its transition to democracy has been accompanied by the gradual introduction of free-market reforms. Despite political tensions exacerbated by the 2009 economic crisis, Mongolia has enjoyed relative political stability in recent years. President Tsakhiagiin Elbegdorj, whose Democratic Party coalition controls parliament, is serving his second term and cannot run for re-election. Agriculture and mining are the most important sectors of the economy, although uncertainty over investment rules has caused investment in the mineral sector to ebb and flow. While improving overall relations with the U.S., Japan, and South Korea, Mongolia has maintained strong ties with Russia and China. Corruption is viewed as pervasive. Graft is endemic, and weak institutions do not enforce anti-corruption measures effectively. The judiciary is independent but inefficient and vulnerable to political interference. Corruption persists among judges. Property and contractual rights are recognized, but enforcement is weak. The government lacks the capacity to enforce intellectual property rights laws. Mongolia's top individual income tax rate is 10 percent, and its top corporate tax rate is 25 percent. Other taxes include a value-added tax and an excise tax. The total tax burden equals 29.8 percent of domestic income, and public spending equals 46.3 percent of domestic production. Public debt has increased to over half the size of the economy. The minimum capital requirement for incorporating has been removed, and starting a business takes only five procedures, but completing licensing requirements still takes over 130 days. Despite some progress, the labor market still lacks dynamism and remains segmented. The central bank's large mortgage subsidy program and liquidity injection in 2013 distorted markets and ratcheted up inflation. Mongolia has a 5.1 percent average tariff rate. Importing goods is time-consuming. The 2012 Strategic Entities Foreign Investment Law limits investment in some sectors of the economy. The financial system, dominated by banks, has undergone restructuring and modernization. In recent years, the banking sector has had vulnerabilities arising from highly concentrated loan portfolios and high loan-to-deposit ratios. Ulaanbaatar, January 29 (MONTSAME) The Prime Minister granted an interview on January 28 to a correspondent from Mongolia's National Public Television. The Prime Minister Ch. Saikhanbileg took part in a live TV interview called 'The time-viewpoints' on the National Public Television of Mongolia. Journalist B.Oyunchimeg hosted the live interview. - Questions sent by people show that much is expected from you. It has been over two months since you became Prime Minister. Let's begin the interview right away because I have a lot to ask you? - I would like to deliver my sincere greetings to Mongolians who are watching the interview through the National Public Radio and Television. Mongolians say that all things have their own time. Today has been very auspicious day for Mongolians because of the birth of Mongolia's 3-millionth citizen was announced. Mongolia's 3-millionth citizen was born on January 24 in Dalanzadgad city of Umnugobi Aimag. A baby girl named 'Mongoljin' was born along with 181 other age-mates; thus, Mongolians, have become 3 million. I feel this is a good omen for taking my first-ever interview after becoming Prime Minister. - Traditionally, Prime Ministers of generations are interviewed on what will be done within frames of an adopted state budget and give information to the public after the State Budget and its adjustment are adopted. Prime Ministers outlined the budgets of those particular years. What do you outline? - I did not mind giving information about this budget. If you want, I can say it is 'reasonable'. Difficult decisions were made at the plenary meeting of parliament. Accordingly, I put forward the Budget Bill. It is impossible to fulfill 100 percent of what we wanted. Nevertheless, many things we wanted to do have come true. Anyway, we could deliver a message to society about how complicated the current national economy is. The public comprehends that every family will suffer. It began with public reactions on matters regarding child allowance and benefits for mothers with many children. The Government is very grateful to Parliament for rendering support. On the other side, I think this year's State Budget is an expression that the new government can complete what it has begun. The International Monetary Fund, World Bank, economists and politicians recommend us to bring all expenditures of the government and development bank into one budget. We have done it. In addition, we decided to delay new construction projects and also stopped making dream lists. Agreeing that cost-cutting has to be made from high level organizations, we made a decision to cut the staff of ministries and agencies by 15 percent. Parliament members supported the Government's initiative and reduced their spending on transport. Moreover, 80 organizations have been restructured and merged into 25 and made them independent entities. All relevant matters have been solved. State administrative servants used to get a one-time benefit equaling 36-months of their salary when they retire. By doing so, the average highest salary among salaries given in the last months was calculated by 40 percent and calculated again by 36. It was very wasteful. Further, it will not be calculated by 40 percent. We transferred it to a new method. The term that he/she had worked will be considered. We also arranged for many institutes of the Academy of Sciences. Organizations that used to spend money on uniforms will no longer spend that money. Students were very inventive. They are the driving force of society and carry a new ideology. They supported the government's cost-saving initiative and expressed their plea to only give stipends to those who earn excellent grades. We are grateful for their support. After all these works there should not be criticism such as "this year's State Budget is bad" or "the government didn't follow its policy". Therefore, it is a reasonable budget. - The matter regarding salaries makes people unhappy. Almost no one has salary credit in the country. In despair, they ask their employer's accountants to phone the banks and explain their reasons? - It is necessary to raise salaries and pensions. The Trade Union made such demands. In reality, there is no money to raise salaries. It is a headache for the Government. The Trade Union organized a demonstration and put a demand to raise salaries by 60 percent. However, one thing must be realized. According to all economic indices, it is really important they be raised. So, we explained to representatives of the Trade Union that there is no capability to raise salaries by 60 percent. The Government consulted with Parliament about increasing financial sources for urgently needed things by a certain amount and mobilizing required sources. We informed the public that there is no more potential for 2015. At last we made a decision. There would be a demonstration every day if it was perceived to get money after demonstrating on the central square. - What can you say about people who cannot get their salaries? - Discussions of the budget adjustment caused payday to be delayed by a number of days. As of today, the full month's salary has been paid to all state workers without any problem. - People are reacting against government resolutions including benefits for mothers with many children. - People were very unhappy during that particular time. Now, this issue has been settled by a certain level. So, we need to get over our emotions. In order to explain why the benefit for mothers was cut, I need to explain present budget structure. For instance, salaries, retirement pensions, welfare benefits and allowances cover 62 percent of the budget. In addition, electricity and heating expenses take 19 percent. These make up over 80 percent. But just 7 percent is spent on investment. Therefore, Mongolia needs to move from a welfare system to a creative economy. Now, I am going to talk about the benefit for mothers with many children. We submitted a proposal to give benefits to mothers who gave birth to 4-6 children until their youngest child reaches 18. Such mothers are awarded with the 'Glorious Mother' medal. When the youngest children reach 18 and the eldest are over 30-40, children of 'glorious' mothers, need to give provide the money which is currently being given as a benefit by the State to their mothers. Usually, one of the children who lives better will care for the mother. Regarding the monthly child allowance, a family with a private house and car and parents with jobs cannot be compared to those whose children need money. In other words, we considered that all households need to be classified into 21 levels based on their living standards and the households belonging to top 5 levels will not be given a child allowance. The other households in the 1-15th levels will be given a child allowance. But people want to make it an issue rather than understand. Now we are beginning to change the total budget and welfare system. As Prime Minister, I am probably giving it an inadequate explanation. The Government gave people insufficient information about its activities. We decided to disburse these benefits fully for this year. Unfortunately, it was distorted and the misunderstanding was intentionally spread here and there, instigating people to make society confused. It almost reached the campaign scale in order to get scores from people. Let's realize that the foundation of a house must be built properly in this present time of economic difficulty. More than being Prime Minister, I am a Mongolian citizen, Ch.Saikhanbileg. The crisis will not bypass any person, but cover all. Now, is not the time to politicize and make any plays with people's problems, but we need to look in one direction. Within the shortest period, we made many steps. - What about imposing taxes on Toyota Prius cars? - We are considering this matter. It will be discussed in relation to Ulaanbaatar's budget. The Government and Finance Minister have no plan to gain any tax income from it to the master budget. Aimags and rural areas will earn income from Prius cars. By doing so, rural roads and other infrastructure will improve. I have thought about how to make it understandable to people. A used Prius car is sold for Tgs4-5 million at the market. A Prius-30 is sold for Tgs30 million. There was talk that this tax is to be raised when incapable people are driving this car. A soccer team is bought. For example, it is said that Ronaldo was bought with USD80 million. Along with giving him a salary, the team is paid. It means that additional money is paid to USD80 million. Likewise, a person who buys the car should think he will have more expenses on petroleum, parking and a garage. To suppose that to drive a car downtown shall require a fee, a capable person will have a car. But we reconsidered this matter and agreed to make it along the first version. It will be reconsidered with the involvement of economists and others. No car, no pay. - During your interview in 2011 with journalist B.Ganchimeg, you said that meaningless populism holds national development back. Now people got to know about populism. How do you feel about it in the past 2 months? - I do not talk about an individual when talking about populism. It is about action, nature and principle. But it became like a worthless little thing. If it is discussed, attacks will begin the next day. Second, the press representatives including L.Munkhbayasgalan went to Detroit, in the USA where a hysterical man became mayor of the city by talking about populism. But the city was nicknamed a ghost town and suffered bankruptcy. Why do we need to suffer the results when we already have examples in other countries? So I will epithet populism as a poisonous candy wrapped with shiny and fancy paper. In other words, it's fake love. Populism has its own cost. One example of populism is the mothers' benefits and child allowance. - Decisions made by the Government are stringent. It is clear that all of them can't be received with applause. Are there any decisions received with applause? - All decisions made by the Government can't be received with applause. I would like to mention some works having been done for two months after my appointment. For instance, we revived exploration work that stopped four years ago. I think the investors and those who work in the mining and business sectors are satisfied in this regard. We have made a large step regarding the project innovation. I hope that the related people receive it with applause. Parliament started to forward the biggest deposit of Gachuurt in collaboration with the Government. I also believe that the investors receive it with applause. Issues on 106 licenses apart from the long-named law were completely solved. We decided to build quite a few schools by concession and assistance. I think that our children will be happy with that. A tripartite agreement was successfully concluded with the Confederation of Mongolian Trade Unions and the Mongolian Employers' Association. So, elders and those who wish to live in peace and quiet worried about any demonstrations on Chinggis's Square also applauded. An agreement on Tavantolgoi was launched, so a number of people may cheer for it joyfully. Issues on the debt ceiling have been solved to a definitive extent. The second stage of the Millennium Challenge Account has started. Thus, quite an amount of investment will be made to Mongolia and the economy of the country will be extended. It is also worth applause. We resolved an economic cooperation agreement with Japan. I think that many investors, entrepreneurs and our citizens will be cheered by that. A program on fuel has been excluded from the special programs being financed by Mongol Bank. Now, it is not required to finance the fuel program. It was also appreciated by a certain amount of people. Thus, I consider that we have made definitive decisions for the last two months to make an easier a burden on these people. - You mentioned building new schools. Recently, the Government decided to build 21 schools with nonrefundable assistance rendered by the Chinese Government. How would you explain this decision? - I said that just 7 percent of the budget is being projected for investment. We really can't start new works. Schools are holding classes in three and sometimes four shifts. Children of tender ages are frightened when they come home in the evening on dark streets. So, we urgently needed to resolve the issue of schools. A lot of problems in the capital have been resolved. We have had two packages of non-refundable assistance. The first one is being expended to resolve the issue of schools. Also, the Government gave the related Minister permission to sign an agreement on building 72 schools and kindergartens by concession agreement. Thus, the Government will resolve any issues as quick as possible. Another package of assistance will be assigned for building the gas plant. If we can resolve issue on building Ulaanbaatar distribution network with help of this package and build the gas plant, we will be able to make a big step towards getting rid of Ulaanbaatar's smoke, the most worrying problem for the capital. It will be one of the significant issues to be solved by our Government in the near future. - Your Government often discusses the policy on privatization of state property. It happens that you highlighted the privatization of MIAT and the Drama and Opera theatres? - Rather than the above objects, the issue is being discussed in terms of the social sector's privatization. Look at the Finance and Economics University. Neither the Government nor the Minister took part in the appointment of its director. They have their own Ruling Board and resolve their issues by themselves. It means that they have embraced the proper system. Why not NUM, the University of Science and Technology or University of Medical Sciences to transfer to this system? Why should they be dependent on politicians? What happened when directors of these universities were appointed by the State? There were protest sittings and strikes everywhere. So, the State should refuse from all these things. Today, it was possible to establish a ruling board, appoint directors and solve investment issues independently. This management system is introducing the company's management form in the social sector. It would be the biggest issue to be resolved by our Government in the remaining period. This issue will be solved with participation of heads of all related organizations starting from the State Property Committee. - Is there is too much political interference in this issue? - We intend to eliminate political interference. - Do politicians have a willingness to eliminate this tendency? - The Prime Minister of Mongolia explains the position of its Government. It is time to do so. The matter will not be resolved by only changing the management system and governance. For example, all changes to be implemented in the health sector should be considered in its complex. As head of the working group, Minister of Health and Sports G.Shiilegdamba started his activities with the registration of medicines. Thereafter, issues concerning governance, financing and treatment will be in focus. - Should this work start from a mutual understanding? - The key is to be motivated. Those, who implement decisions, need to wish for changes. If we don't wish to do so, our deed doesn't work. - Before your appointment, there was much discussion that the ministries don't work. How much reshuffling is made in the appointments? - This kind of talk is usually common before the change of Government and also after completion of a new Cabinet. In recent years, the structure of ministries and Government agencies was enlarged. So, first, we decided to streamline the ministries and agencies by 15 percent. It is not deniable that a certain amount of movement occurred at that time. The Government will submit a large draft law to Parliament at the beginning of next month. It is a draft law on State service. We are expecting that this issue will able to be resolved because the above-mentioned issues were included in the draft law. - You have been serving in politics for many years. Each time there is a party change, their non-professionals are appointed to certain positions. When will this practice stop? You put forward considerable goals. Did you include this issue in these goals? - We will discuss more significant issue from the start of the spring session. Even more, it is possible to consider issues on amendments to be made in the Constitution. If we can make the fundamental movement, the issue you mentioned won't appear. Both the state and political services should remain as designated. The practice of political appointments will continue in team principle. By doing so, the matters raised today will be put in ways of solution. - It seems that complaints of people from the private sector won't be halted if we can't improve governance. It is also a great goal that requires much time. What measures would you take? - We are meeting with the business sphere. Recently, we submitted a draft law on promoting the Act of economic amnesty to Parliament. In addition, there are laws on permission and supervision. Currently, the law on prohibition is being implemented under the name of permission. Businessmen are working under closed pressure. In this regard, the heads of taxation and supervision organizations were obliged to stop their observations. We are working for the law on permission to be enacted. By doing so, we can create a business-friendly environment and abandon the bureaucracy related to permission. As for the law on supervision, the professional inspection organization will be transferred to a new system based on risks instead of inspecting for the sake of supervision. Also, in connection with implementation of law on glass account, the respective web pages on supervision and inspection will be opened. Thus, both inspecting and being inspected organizations will be able to keep necessary records. - We talked about a lot of big issues. You repeated the word economy three times. It seems that the economy is a priority. But, what would you highlight to make what you said clear? - Economy, economy and economy. It is not just the frequency of a word; it is our approach to the matter. We can overcome current economic difficulties based on the private sector. Thus, we should provide them with conditions to work normally. It is needed to launch the largest projects and programs. The key is to develop industries. The development of industry begins from small things. I said before that we made an economic agreement with Japan which will be signed in February. Just now, we consulted with the Permanent Committee of Parliament. I brought a tiny component of a copier. We are assembling this equipment by importing its raw materials from Japan. After assembly, it will be delivered back to Japan. With conclusion the related agreement with Japan, the raw materials will be supplied by Japan without tax, then send it back to this country the same way. In the future, our industry should to be developed by not exporting raw materials, but exporting them after producing and assembling them domestically. This free trade agreement to be made with Japan will also be concluded with many other countries. - You took the simple and nearing opportunity as an example. But, what happened? Flour producers, farmers and the Ministry are quarrelling about making up sides? - This is not an issue where the Ministry sides with someone. Judging from the situation, the issue is very simple. The farmers have 70 thousand tons of wheat. Flour producers need 90-100 thousand tons of wheat until the next harvest. They are lacking gluten. So, the issue is raised about the deficiency for producing flour and flour products. The point is that the flour producers suggested importing 20 thousand tons of flour with a high amount of gluten for mixing with domestically produced wheat. The sides must settle the question by negotiation. Each person, any group, and every producer have a certain interest. However, they are required to agree on common interests. - Columnists have been talking about you a lot. Some of them said you should be more decisive? - We want a specific thing. It is clear the problem will not be tackled when we do not find a proper solution and do not consider it deeply without seeing it from many angles. That was proven when we approved our budget, did you see? We have not solved our problems completely, have not manufactured the right products and conceived populism as well. It is completely the wrong attitude; so now, we have to interpret the current problems to the public in the right way. If we can gather hundreds or thousands of enthusiasts, it is possible to solve the problem through agreement and the right understanding will be shared in society. I thought carefully about delivering my views on TV to the public before this interview. I think understanding is vital to being very decisive. I got a view while discussing the budget after one person called me in frustration and criticized the cabinet planning to cut the allowance for holders of the Glorious Motherhood Order. I have never seen a person so frustrated and I suddenly recognized that the current society is not very good today, so I do not blame that person. I understood it is vital to be decisive to resolve many more problems like the above problem. I thought now we have to make more efforts. - I want to ask one question for you. Do you think our economy is suffering from a crisis and do you see that is just going normal? - Actually, I do not feel crisis very well because I had a trip abroad. But I heard that the number of people using taxis has declined dramatically when I got in a taxi because of the situation. The drivers said they really suffered from the economic situation. No one can avoid a crisis. This affects everyone. Making a debate or controversy on whether the current economy is suffering from a crisis is a complete waste of time. I really want to go into the core of matters as I have been elected Premier and lead the Cabinet. I admit that I thought of resigning after having seen the economic figures and a group of people had a demonstration on central square. I really thought about that, and many things came to my head. But what should we do if we collapse the incumbent Cabinet? It is obvious another person will succeed the Cabinet and he or she must do the work from the beginning. It is quite understandable that anyone should continue this work. This is Mongolia's path. The public now has a biased view on a reason for the problem. It is not easy to tackle it and unplanned works will give a wrong signal to society. We urgently need to solve the economic problems and have to start it from determining the reason for the problem. We should admit we scared off our investors, so we have to bring back them in order to make the first step. It is inevitable to carry on the biggest projects in order to stabilize the currency rate. This is one option for the solution. Another way is to cut our consumption and expenses. Thus, companies will stop their projects and reduce the wage sizes due to closing the credit flow of commercial banks. By doing so, the rate of the US dollar will go down against the Togrog. This is the right way to resolve the problem. In other words, a discipline of reducing consumption can hold the US dollar rate. Another side must import US dollars more than the consumer size. This causes a main debate in our society. It is time to give a proper answer after consulting it with politicians, decision makers, businessmen, and domestic and foreign organizations. I really want the public to know one thing. We have two options. First, we have to keep the rate of the national Togrog by implementing the Oyu Tolgoi or other big construction projects, and second, to reduce consumption by enhancing the economy. If people prefer the first way, the public must not stand against the Oyu Tolgoi project, and we have to follow this path. Moreover, we do not ignore our interest. Other issues of the biggest projects such as Tavantolgoi and Eg River hydro-power station, property privatization, stock exchange, construction of power stations, and the raising of bonds and investment funds must be tackled altogether without any obstacles. If any populist person blames them again, I recommend the public to follow the first option. So, we must decide on it urgently. The second option is not a very bad way. We can raise a specific amount of money in our bank by attracting donors and reducing consumption under a strict discipline. In order to do so, we have to take programs from the International Monetary Fund or other big financial organizations. It is believed to really help Mongolia augment the US dollar reserves. Plus, we have to cut tolerable expenses for a specific period. We only have these two options. I want the public to give their views on it before Saturday. An opinion poll will take place on Tuesday evening through phone messages about choosing the first or second options. This is an inevitable measure we have to take. - Is this kind of opinion poll right? - You might ask me why you led the public into such problem today in the post of Prime Minister. I think it is not bad thing to ask the public about solving problems. The people are actually the decision-makers. They vote and choose the members of government and parliament. There is no wrong thing to ask the public once. I want the public to be very active on this poll and the economists must hear their views. If this measure really works successfully, I am ready to give a plan of works that shows a list of measures to be taken through the first or second options. I hope it will help to solve the problem, and will ease the issues for MPs to make their decisions. - Some people said you are leading the coalition government. I suppose these problems are easy to tackle, but it is understandable the policy difference between the Democratic Party and the Mongolian People's Party will not perished very easy. What do you think? - I have to sense the reality rather than working out a method. I think there is no need to blame any political party or faction. This is an inevitable condition. This is not a matter for the Democratic Party and Mongolian People's Party only. This is a matter for all political parties in parliament. In the last two years, we had problems in politics and blamed each other. I admit it, but now we have to solve the problem together and it will take some time. Some "unpleasant" decisions are expected to be made, but it will resolve today's economic difficulties. We are sailing on the same boat. - Many Mongolian youths are being employed in the biggest companies abroad and they are not willing to return home. However, they always talk about developing their motherland. How do you propose we get them to return? - When I served as the Minister of Education, I was told by my counterpart in China that his country projected that one student out of three studying abroad will return home and two of them stay abroad. But these two students will arrive home anytime, and they bring money, know-how and technology. This is one of the keys to development of the country, the Chinese Minister said. It is not fair to blame them for living abroad, and the state must create a nice condition for them to live in their motherland. We should provide them with opportunities and high salaries. 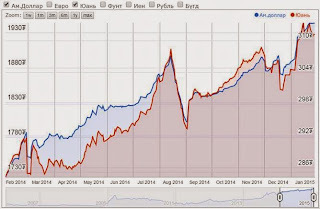 We know that Mongolia managed to overcome the financial crisis in 2009. Afterwards, many youths returned home thanks to reviving the national economy after implementing the Oyu Tolgoi project. All the investors always say that Mongolia has a bright culture, but Mongolia has been in panic due to poor policy. However, they said Mongolia will definitely boost, and it is important for Mongolians to accelerate its potential. Human resource is very important to carry out any works, and it is vital for us to look differently at our investors. We should not scare them off as they are really needed for Mongolia. We should not lose our culture, national ideology and pride. A true Mongolian mind and idea will develop our country. We have to change our mind about investors. Why should we always receive grants from the state until 18? Why should not we refuse the allowance? People should think about it twice. A creative group can develop a country with a bright future. - It seems that the public way of thinking has to be changed. Unless the Government starts to discuss the problems that Mongolia faces with social media users, the twisting of State-run works will continue to go public? - I also observe there is a virally negative attitude in the social media towards Government actions. For instance, I recall a Twitter user's post saying "I was all smiles when I was travelling abroad. However, the smiles turned upside down as soon as I arrived at Buyant-Ukhaa (the old name for Chinggis Khaan airport)". While foreign magazines and TVs are censoring the photos of two Japanese victims of terrorist actions, our daily newspapers publish their photos on the front page "without any blurriness!." News websites and TV channels prefer to begin their programs with negative and sad news rather than providing informative articles and good news, such as commissioning of new factories, starting exports of certain domestic value-added products, and new jobs being created and etc. The social psychology has to be refined given good news more often, and that is not a job done only by the Government. The economic crisis is a temporary issue and has to be given focus on every level. We should be picturing and debating over what future might await us in 2015-2016, rather than manipulating each other with negative comments. The Government is ready to take action pursuing the results of such debates on setting the right direction for the country's development. There are not enough hours in a day. We should be working with more energy, as we have so little time left. We have the capacity and the aspiration. - You are the head of a Cabinet that is called many names, such as the Government for Solutions, or Crises or of a Grand Coalition. Might this be an indication that all issues will be settled with overall participation? - I am not fond of the definition for any government. However, I view that the name "Cabinet for solutions" stands for the Cabinet that has ministers who do their jobs, and make proper decisions for the sake of the nation. The most preferred definition of this Government is that this is the Government of Mongolia. This seems appropriate. In order to make decisions, we should discuss, reach an agreement, and choose between the two options that I am offering. By making this choice, we will overcome the issues, the solution to what has been asked for by the people for a long time now. The person who is against implementation of Oyu Tolgoi project is perceived as a person who is voting for giving the economic condition time to recover from the troubles. Both of the options are not subjects of absolute contradiction. We don't have a third option. If you are against the realizations of Oyu Tolgoi, Tavan Tolgoi and Gatsuurt projects, I recommend you to choose the second option. The second option is not a bad path. For the people who consider the second option as a failure, I want to say "Excuse me, do not disturb". It is like a surgeon who is in the middle of a very difficult operation. No person is allowed to say "Don't hurt that person who is already in a lot of pain". Since the operation has already begun, at least you can help by not disturbing them. - Our interview will soon end. You are appealing to certain users of social networks who already maintain a significant space in the online world to responsibly participate in this public discussion? - Twitter users like to boast about the number of their followers. Their pride can be utilized throughout the next week in a public discussion by how their followers express their views using the social networks. Such discussions have to be held more often via Facebook, websites and daily newspapers. The Year of the Sheep is approaching and Mongolia welcomed its three-millionth citizen in the Year of the Horse. On the verge of the New Year, we have to determine our direction for further development. As soon as the direction is determined, the decisions will come easily. Mongolia has a relatively small economy with the capacity of USD 10 billion flow. Therefore, only two or three adequately-developed projects and integral polity can lead this country to a high-level of prosperity within a very short period of time. This can only be mobilized by the team-work of Mongolians. My Cabinet will pursue realizing such team-work but need some support from the people. - I don't want to ask a question after such a speech. Let's finish our interview. - This is my first interview taken since the appointment to the office of Prime Minister. I think highly of the fact that I am giving my first interview with a Mongolian National Broadcaster. The New Year on the Mongolian calendar is approaching so this is not a time to march and protest against the Government. Our decline and issues still remain, regardless of which politicians are in charge. The issues will only be overcome by joint efforts. Thus, I consider that the government was formed including representatives of all political parties with seats in Parliament. We should work until some pessimistic person comes and says "You did it!" In the end, I want to appeal all of you to text '1' or '2' to numbers 15-15 and 11-11. Your messages will be sent free-of-charge, thanks to the support from our four telephone operator companies. However, one number has only one vote quota. Our direction of 'tomorrow' will be set wisely, I believe. Ulaanbaatar, January 29 (MONTSAME) Deputy Prime Minister U.Khurelsukh signed performance agreement on Wednesday with the heads of six government agencies, included in his scope of responsibility. It was in light of setting up optimal plans of activities, thoroughly pursuing the laws and regulations on state services, conducting state activities fairly without contradiction of interests, and of determining roles and responsibilities of state budget administrators. The agreement was signed by the Deputy PM Mr Khurelsukh, chairman of the General Emergency Department, Colonel of Emergency T.Badral, chairman of the Department for Intellectual Properties N.Chinbat, chairman of the Authority for Fair Competition and Costumers' Rights T.Ayursaikhan, chairman of the Department for Standardization and Measurement G.Gantomor, and chairman of Procurement Agency D.Enkhjargal. "We have been presented with the results and observances of the performance agreement for 2014, and the performance plans for 2015 await us" said the deputy PM and noted that the state organizations are supposed to serve for the people and work for the sake of them. He also obligated the heads of the agencies to conduct higher accountability as the country is transmitting to cost-cutting regime, and wished them success. January 29 (news.mn) Most of the world is critical of the restrictive policy of repressive countries where the use of the Internet is limited and censored. To stand up against violations to the rights of citizens and media, the Union of Online Freedom has been established. The ideology of the union is being encouraged and promoted by the following Members of Parliament who encourage Internet freedom: L.Bold, L.Enkh-Amgalan, S.Oyun, D.Ganbat, Ts.Oyungerel, and G.Bayarsaikhan. The MPs have initiated the establishment of a parliamentary group to maintain Internet freedom. In modern society, with the development of advanced technology, the main purpose of this group is to create a legal environment to protect democracy in Mongolia, and to strengthen and develop it. The Online Freedom International Coalition's meeting of Ministers will be organized in May 2014 in Tallinn, Estonia. This year's meeting will be headed by Mongolia. Ulaanbaatar, January 29 (MONTSAME) Plenary meeting of the Parliament ran Thursday the final reading of the draft resolution on renewing the State Policy on Education. The conclusions by the Standing committee on Social policy, education, culture and sciences were presented. The draft resolution was approved with 88.7 percent vote from the attended parliament members. The renewed version of the State Policy on Education offers to change the purpose of the preschool education programs from "preparing children for school" to "providing lessons on basis of human development"; to determine the primary education as a phase of school when children are set-up to become true Mongolians, having mastered the basic skills of Mongolian language and ability to process creative knowledge; and to determine the secondary education a phase when children become a citizen who can independently study and learn new things, having taught the basics of social and natural sciences. It also offers changes of considering the high school a level where pupils have possibility to get pre-university trainings basing on their fields of interest. The renewed version of the State Policy on Education defined that higher education and professional trainings should serve to prepare cadres that are able to contribute to the national capacity for innovation. The plenary meeting of Thursday also held the final readings of and approved the draft amendments to the laws on Tobacco Control and Health Insurance. January 29 (Mongolian Economy) Mongolian Economy magazine, M Promotion Agency, and the Polish Ministry of Economy have joined together to offer Mongolian entrepreneurs in the mining and food sectors the opportunity to be selected for a free six-day Study Tour of enterprises in Poland. The tour will be held from 13 to 18 April 2015 in Warsaw and Cracow. Participants are to take part in two B2B meetings with 24 polish entrepreneurs, visit the headquarters of three major companies, and become familiar with the Cracow Special Economic zone. Participants will also take part in interesting cultural events, enjoy sightseeing tours in Warsaw and Cracow, and exchange experiences over lunches and dinners in the best restaurants serving Polish cuisine. The main aim of the Study Tour is to promote Polish export of selected branches of industries and to encourage trade between Poland and Mongolia. A detailed programme of the event will be released soon. The Study Tour is completely free. The service includes: air tickets, hotel, transport, meals, B2B meetings, sightseeing tours, and more. If you are interested in participating in the Study Tour then inform us soon, as the quantity of places is limited. January 29 (infomongolia.com) On January 28, 2015, the Foreign Ministry of Mongolia reported that the Prime Minister of Mongolia Mr. Chimed SAIKHANBILEG and the Prime Minister of the Commonwealth of Australia Mr. Tony Abbott have exchanged letters. As further stated, the Prime Ministers noted that the two nations share common values and strategic interests, and highlighted growing bilateral cooperation, including people-to-people links. Australian Premier welcomed Mongolian Government's intention to solve the situation around the second phase of Oyu Tolgoi mine, as well as general investment climate in Mongolia. Prime Minister of Mongolia Ch.Saikhanbileg acknowledged Australia as Mongolia's major investor; and that Australian educational scholarships as well as Australian volunteers play an important role in the development of Mongolia. He also stressed Mongolian Government's actions towards attracting and supporting foreign investment in Mongolia. Moreover, Minister for Foreign Affairs of Mongolia Mr. Lundeg PUREVSUREN and Minister for Foreign Minister of the Commonwealth of Australia Mrs. Julie Bishop have also exchanged letters. The two Foreign Ministers noted the growing aid, trade, investment and people-to-people links between Mongolia and Australia, emphasizing on the New Colombo Plan, which will strengthen the growing ties, opening a new chapter in an educational cooperation. Both Ministers acknowledged the role of foreign investment in Mongolia, including Australian, as well as strengthening of investment climate in Mongolia. Mongolia's Foreign Minister expressed his hope that considering the growing interest of Australian businesses in Mongolia, Australia would open its Embassy in Ulaanbaatar, Mongolia. Mongolia and the Commonwealth of Australia have established the diplomatic relations on September 15, 1972. January 29 (infomongolia.com) On January 28, 2015, Deputy Minister of Foreign Affairs Mrs. Navaan-Yunden OYUNDARI received in her office the Ambassador Extraordinary and Plenipotentiary of the Republic of Turkey to Mongolia, Mr. Murat Karagoz. At the meeting, sides touched upon several vital issues concerning bilateral relations including upcoming visit of the Prime Minister of Mongolia to Turkey and agreed to host the 8th Mongolia-Turkey Economic and Trade Intergovernmental Meeting in Ulaanbaatar this year. During the meeting, Deputy Foreign Minister N.Oyundari noted the bilateral partnership in educational sphere has been actively developing and underlined to seek opportunities of collaboration in boosting the cooperation in trade and economy, particularly, to enhance communication between entrepreneurs. Moreover, she proposed to negotiate on renewing the soft loan conditions to provide by the Government of Turkey to Mongolia as well as to initiate and implement large projects under the Turkish International Cooperation and Development Agency (TIKA). In response, the Ambassador Murat Karagoz affirmed the developing cooperation and pledged to consider issues forwarded and concluding the meeting, he conveyed a letter from the state head of Turkey Recep Tayyip Erdogan to the President of Mongolia Ts.Elbegdorj inviting to participate in the ceremonies marking the centenary of the Battle of Gallipoli in Canakkale in late April of this year. President of the Republic of Turkey has sent out invitations to the leaders of 102 countries with plans to hold massive ceremonies to mark the Commemoration of the 100th Anniversary of the Battle of Gallipoli on April 23-24, 2015. The Gallipoli Campaign, also known as the Dardanelles Campaign or the Battle of Gallipoli was a campaign of World War I that took place on the Gallipoli peninsula in the Ottoman Empire between April 25, 1915 and January 09, 1916. The ANZAC Troops (Australia-New Zealand Army Corps) disembarked onto the shores of Canakkale on April 25, 1915 in a bid to destroy Turkish artillery units, but were defeated in bloody combat that continued until December 1915. Ever since, Australians and New Zealanders have commemorated the Battle of Gallipoli on April 25, on the date of the first landing, and on August 06 to August 10, the second landing of the ANZAC troops. Marking the 100th anniversary of the battle for Turkey, Australia and New Zealand, the Turkish Government is set to organize ceremonies with the participation of 8,500 Australians and 2,000 New Zealanders. The U.K.'s Prince Charles and his two sons, and the Prime Ministers of Australia and New Zealand, are expected to take part in commemorations.